You have worked hard throughout your life with dedication, strategy, and planning – it only makes sense that you want to protect your wealth and assets for your family and future generations. At SIA Insurance Group, we are committed to providing you personal security that gives you peace of mind. We believe that there is no one-size-fits-all solution when it comes to individuals and families. That is why we focus on the individual needs of our clients and offer customized personal insurance plans that best suit their circumstances. At SIA Insurance Group, we take a proactive approach to insurance. It starts with a complete risk analysis of your personal assets. Once we have the information needed for developing a comprehensive insurance plan, we approach our carriers to find the best fit for you. 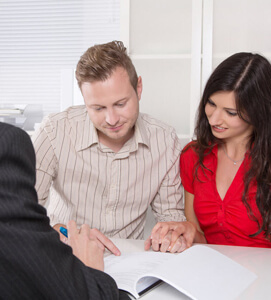 Our team of specialists are capable of managing all areas of personal insurance. From making simple coverage changes to conducting comprehensive reviews to determine your evolving needs, you can rely on us to provide optimal solutions. With every client, we strive to build a relationship and gain their confidence. If you are seeking a proactive approach to insurance that is cost-effective for your personal insurance, please call us today at (630) 325-4000 to set up a time to complete your risk analysis of your personal assets.